If you have a great idea we can be instrumental in getting to market with a major retailer. 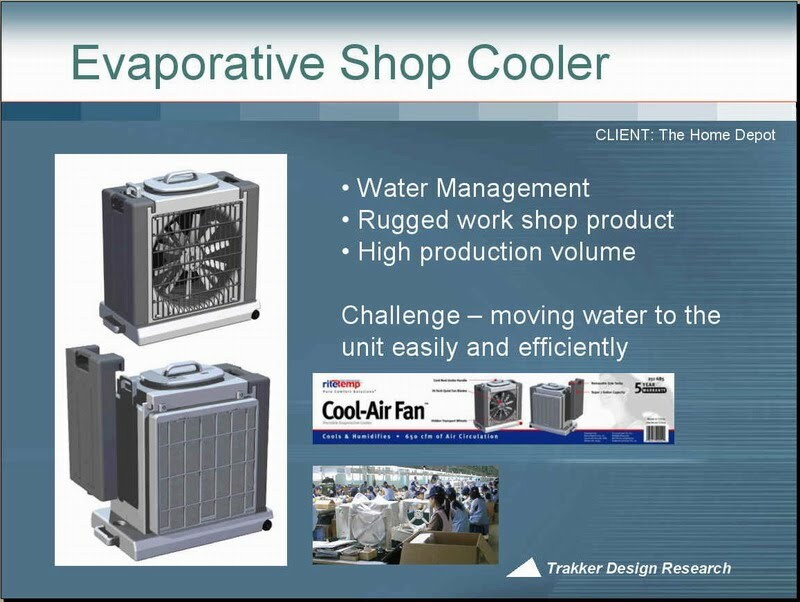 This evaporative cooler has sold over 500,000 units a at the largest home improvement center in the US. We can support your funding process with high quality concept renderings and 3D animations of your product. Help your investors visualize your product, don't rely on their imaginations for your success.. In the case of this cooler product, transitioning from sheet metal design to a blow molded and rotational molded solution increased sales and increased profitability. We can always make a product look better and cost less to build. it just takes the creativity to see the opportunity.